Kelis, Gareth Malone, Seal, Joe Jonas plus more line up to judge BBC One’s brand new Saturday night entertainment music show Pitch Battle, to be filmed at dock10. Superstar singer Kelis and the nation’s favourite choir master Gareth Malone will be the judges getting their groove on as Saturday night’s sassiest singing show brings summer fun to BBC One. Hosted by Mel Giedroyc, Gareth and Kelis will be joined by a different third judge each week. These are: multi-award winning singer songwriter Seal, DNCE lead vocalist and performer Joe Jonas, Queen of Funk Chaka Khan, American singer/songwriter Bebe Rexha and Brit Award-winning singer Will Young will all be joining Gareth and Kelis as they decide which groups progress to the next stage of the competition. Heading up the judging panel each week will be Gareth Malone. Gareth has presided over a number of successful choirs over the years, from creating a choir from the wives and partners of military personnel to mentoring an All-Star choir - including presenter Mel Giedroyc - in aid of BBC Children in Need, his experience in the a capella world knows no bounds. Joining Gareth each week is American singer/songwriter Kelis. Internationally renowned singer songwriter Kelis started out singing in a joyful Pentecostal church choir before she joined The Girls Choir of Harlem where she learnt the true craft of choral singing. Kelis went on to be a Brit Award winning singer, with ten Top 10 UK singles, and over five million record sales worldwide. The brand new series, which sees rival musical groups facing-off against each other, will be presented by Mel Giedroyc, a self-confessed music lover and no stranger to the world of singing herself having previously starred in The Rocky Horror Show Live and Eurovision spoof Eurobeat. Each week, Mel will be welcoming singing groups from across the land to the stage where they will compete head-to-head over a series of choral challenges including Pitch Perfect inspired riff offs, a soloists challenge and an a capella round. Gareth says: "I'm thrilled and excited to be part of this fantastic new show. There's a wealth of singing talent in this country and I'm delighted to bring that to BBC One. To me this is about finding extraordinary groups who have the skill and personality to light up our screens." Kelis says: "It’s kind of nice when things come full circle. I started singing in the choir as a child so it’s always been something special to me. Now here I am 20 years later as a judge on Pitch Battle." Mel says: "I am soooo excited to be presenting this new show and PB will definitely be bringing some cracking music into people’s living rooms every Saturday! Not only are we going to be joined by some brilliant groups and megastar judges each week but to top it all off my old mucker the original twisted choir starter Gareth Malone will be there too. What a combo!" 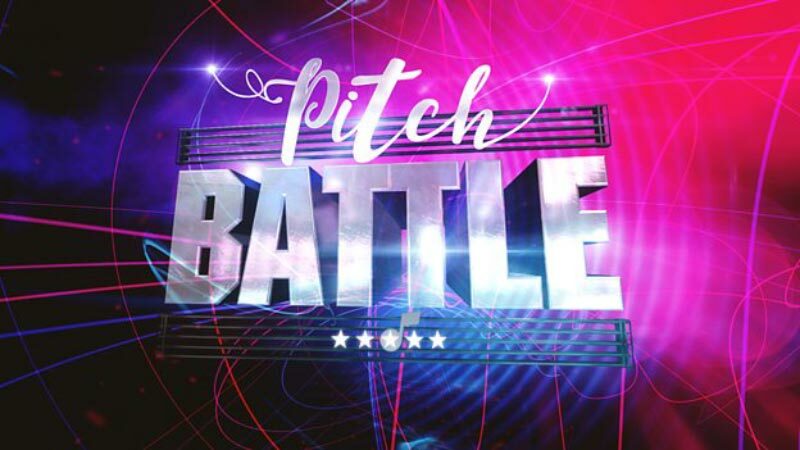 All of this, alongside Pitch Perfect’s Music Director and Arranger Deke Sharon, will ensure that Pitch Battle brings a unique blend of sass, swagger and a pinch of mischief to summer Saturdays on BBC One.